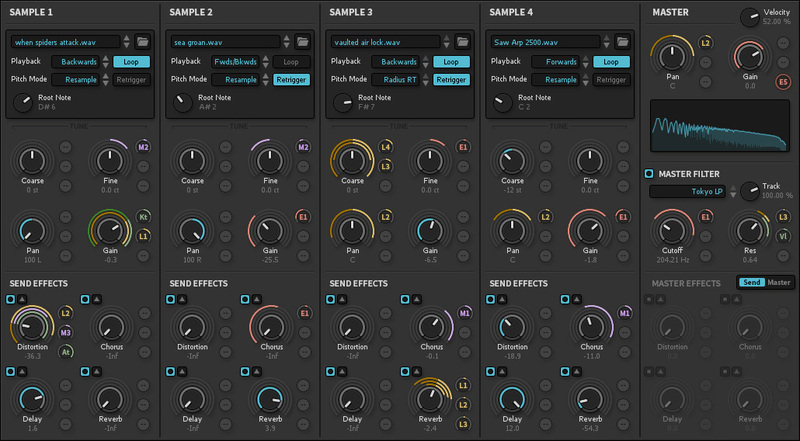 Iris 2 is iZotope’s inspiring sample-based synthesizer, combining the power of a sampler, the flexibility of a modular synth, and the fun of spectral filtering. Iris 2 generates sound by playing back up to four audio files at once, allowing you to mix instrument samples, found sounds, and synthesizer waves into nearly unlimited combinations. 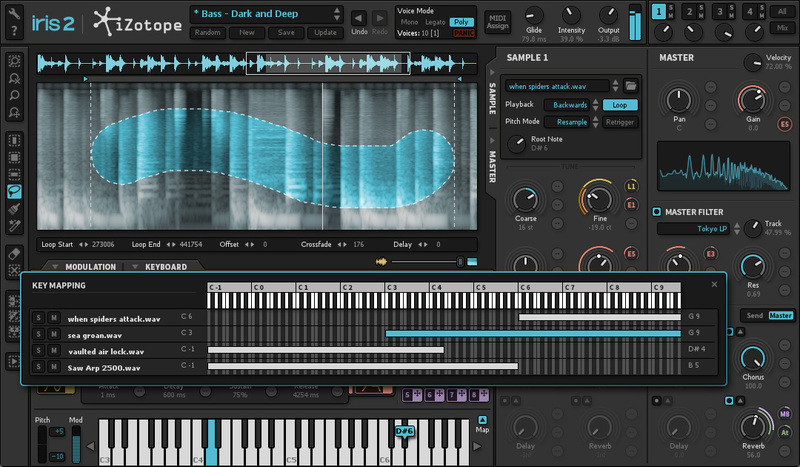 The unique Spectrogram interface lets you manipulate your audio by “painting” in filters, unlocking creative filtering possibilities that would be impossible with traditional synthesizer controls. 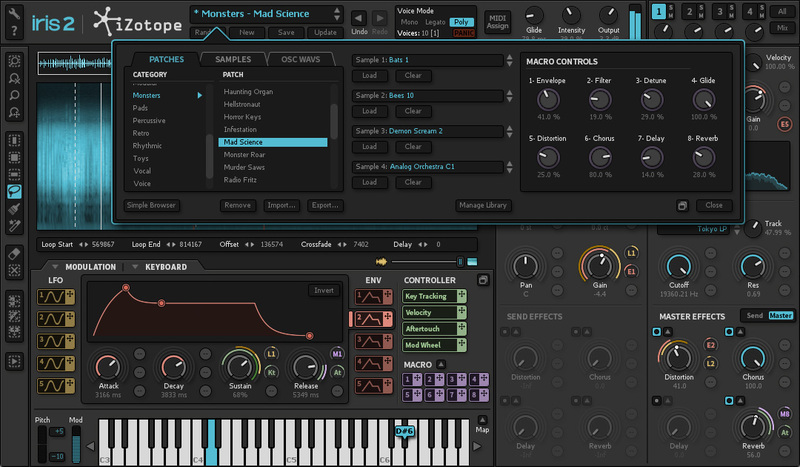 Modulation - Bring movement and expression to your sound with dynamic tremolo effects, expressive vibratos, and radical filter sweeps, all easily synced to your host tempo. 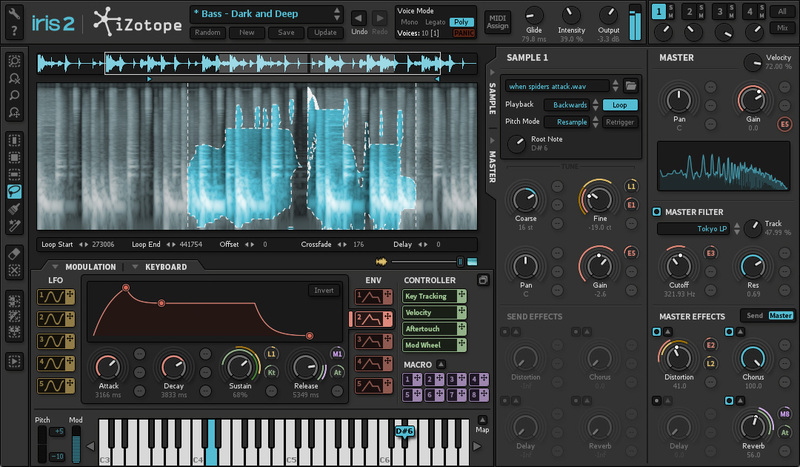 Effects - Iris 2 features some of the best of iZotope’s award-winning signal processing technology, including distortion, chorus, and stereo delay effects. 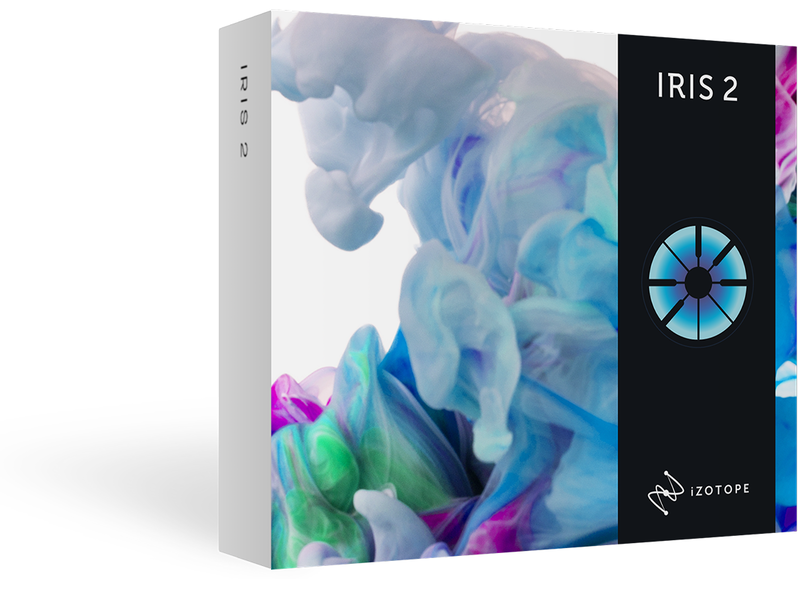 Sound Library - Get a great sound quickly with an epic library of new patches and audio samples—all included with your purchase of Iris 2. Iris 2’s deep collection of patches will inspire you to create never-before-heard compositions and intricate, evolving soundscapes.